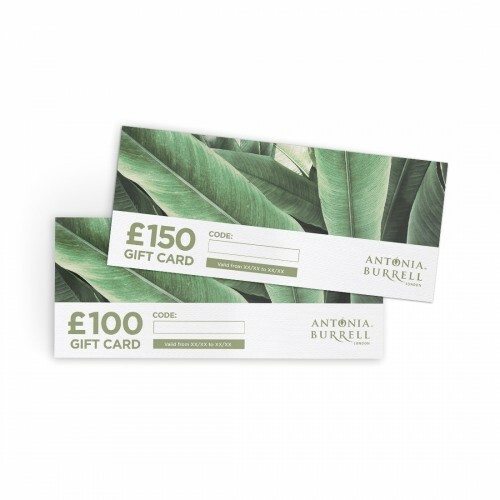 The Antonia Burrell Online Gift Voucher is valid for one year from the date it was purchased and it can only be redeemed at www.antoniaburrell.com. Purchases exceeding the value of the Online Gift Voucher require the use of a debit or credit card to complete the order. The full value does not have to be used in one transaction. It cannot be redeemed for cash. This wonder eye cream is a multitasking miracle! Dark circles no more! 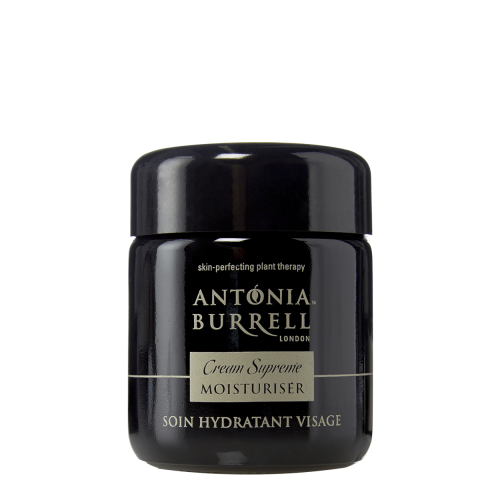 As with all the products in Antonia Burrell’s range it is the scientific blending of active natural ingredients combined with proven technologies that enables her to create skincare heroes that produce effective and long lasting results. 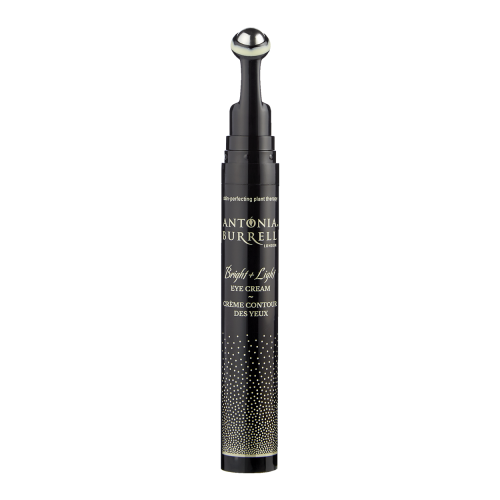 Biotech Suprême Pressed Serum is an intelligent skin fixing & correcting serum, time release moisturiser, skin smoothing wonder, firming & lifting primer to create a skin perfecting ALL-IN-ONE superhero. 5 years of research and development delivers a solution and the answer for all skin types, all skin conditions and all skin tones, especially if you are not sure what product to use or change to. This was designed by Antonia to take the confusion out of consumers making choices for themselves and offer something that will deliver results in 7 days.Discover the magic for yourself. 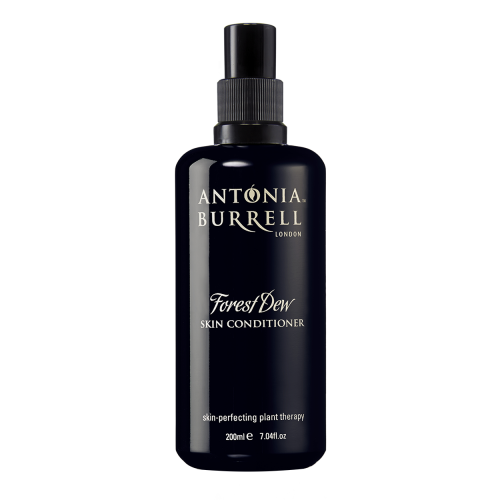 The Antonia Burrell Discovery Skin Perfecting Collection is suitable for all skin types. The products are clinically proven to yield luscious results that youll love - leaving you smelling and feeling beautiful. Say hello to skin-perfecting plant therapy.This collection come housed in a travel freindly pouch. Clarifying | Balancing | PlumpingA rich and silky alcohol-free lotion that deeply hydrates, promoting quenched, healthy and glowing skin. Swiss Alpine Extracts balance sebum production and refine pores, while Lavender Flower Water calms and reduces redness. Skin is left soothed, softened and radiant. Spray onto a cotton pad and wipe all over the face. Use after cleansing and follow with your chosen Mask, Serum and/or Moisturiser. Exfoliating | Brightening | Smoothing A uniquely luxurious exfoliating powder that transforms into silky foam, leaving skin porcelain-smooth, buffed and brightened. Anti-bacterial Tea Tree Leaf Extract keeps pores purified, Zinc while soothing Colloidal Oatmeal sloughs away dead skin cells. Dispense into the palm of a damp hand, and mix with a splash of water to produce the fine foam. Massage all over clean skin with circular motions, adding water as required, until skin is left supremely smooth. Use after cleansing and before conditioning. Anti-blemish | Anti-ageing | Anti-oxidant100% natural and easily absorbed, this deeply nourishing anti-ageing cream contains our patented Anti-Blemish Complex™ which fights uneven skin tone, pigmentation and imperfections. Designed to promote a flawless complexion in minimal time, it contains Amazonian Andiroba Oil (a natural wonder that is both anti-bacterial and anti-inflammatory), Olive Leaf Extract to diminish wrinkles, and Larch Extract to firm, tone and detoxify. Take a small amount, warm between hands, then massage in upward strokes all over the face. Use as the final step of your skincare regime, and for best results after your Skin Serum. Balancing | Calming | Anti-Blemish | Age-DefyingIdeal for spot-prone and reactive skins, this is a potent and optimally balanced blend of 21 pure plant extracts including skin-calming organic Sandalwood, stress-melting Vetiver and skin-healing Angelica. 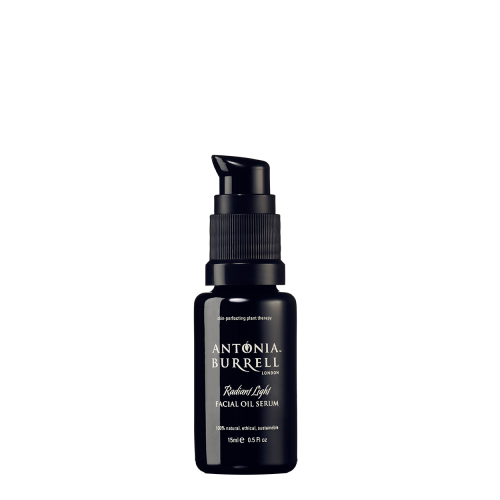 Pure Therapy Facial Serum penetrates deep upon application – purifying, healing, refining and regulating the natural balance of both oily and very dry skin. 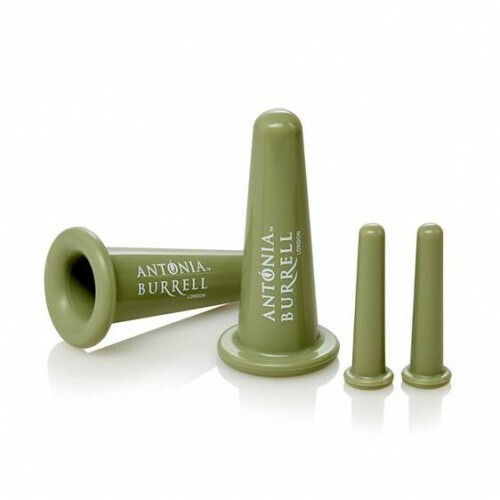 Upon first use you’ll notice a difference, and with continued use skin becomes problem-free. Revitalising | Renewing | Perfecting Dull and fatigued skin is instantly revitalized with this skin brightening blend of 18 pure plant extracts including Frankincense, Rosewood and Sea Buckthorn – formulated to correct pigmentation, stimulate skin cell renewal and restore radiance and translucency. 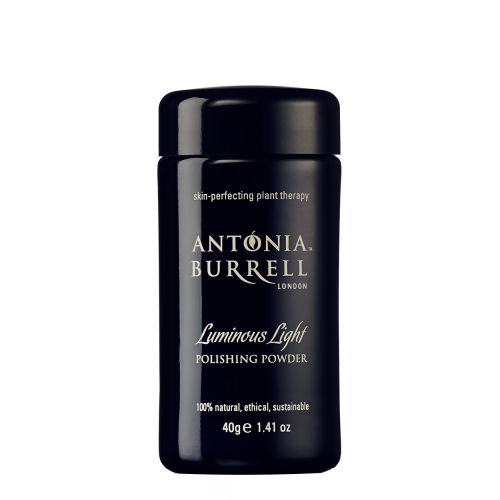 Anti-oxidant and vitamin-rich, Antonia Burrell’s Radiant Light Facial Serum is a potent daily treatment for dark spots, sun damage, blemishes and acne scarring. It also cocoons the skin from further damage caused by environmental pollutants. Massage into skin after cleansing and conditioning. Perfecting | Purifying | IlluminatingOur best-selling product is also the world’s first 100%-natural emulsifying cleansing oil. This skin-loving formula shifts stubborn impurities and deep-cleanses pores, but never upsets sensitive skin. Using a blend of nature’s most powerful skin perfectors – including pore-refining Tuscan Cypress Oil and anti-bacterial Bitter Orange Oil – imperfections are diminished, leaving the complexion radiant and revitalised. Can be used to remove all make-up, but avoid direct contact with eyes. Shake bottle, dispense two pumps into palms, and gently massage over the face for a couple of minutes. Add warm water and massage until all oil has turned into white milk. Rinse thoroughly, and repeat. Follow with Skin Conditioner.